Predominantly because Australia’s World Cup hopes are so gloomy and the Wallabies’ lock stocks so thin, Skelton looks like a decent chance of getting a smooth ride to Japan later this year. About 18 months ago, Adam Coleman and Rory Arnold would’ve been regarded by most Wallabies fans as Test lock lock-ins. Sure, they’re not Brodie Retallick and Sam Whitelock, but they had shown enough to be deemed solid, abrasive forwards on the verge of their best years and the standout Test options. But what was one of the most problematic areas for the Wallabies in a woeful 2018? The second-row. A horribly misfiring lineout was the biggest issue. But scrummaging was hardly consistent and Adam Coleman, Izack Rodda, Rob Simmons and Arnold weren’t often denting defensive lines with their ball carrying. Coleman seemed to lose his sting in defence while Rodda fell off plenty of tackles. Simmons, who started for the Wallabies at lock alongside Kane Douglas in the 2015 World Cup final, still managed to play Test rugby without shining at Super Rugby level for the Waratahs. So when Michael Cheika and his new colleague Scott Johnson are plotting over the next few months to repeat the Wallabies’ run to the decider when they head to Japan in September, Skelton’s signing should be a priority. As Skelton gets nowhere near satisfying the 60-Test threshold for overseas-based players to represent the Wallabies, he will need to sign for an Australian-based Super Rugby franchise soon to open the World Cup door. His two-year contract with Saracens ends in May, which means he might even be able to sneak in a few Super Rugby games this year if needed. That’s the practical and logistical reality. He doesn’t have the kudos or class of Matt Giteau, who was rushed back into the Wallabies squad for the last World Cup after Rugby Australia changed the rules for those playing overseas. After all, Skelton has only played 18 Tests for the Wallabies, and started in only six of those. Plus he was never regarded as a top-quality lineout jumper. Regardless, the Wallabies need to take a punt on Skelton and put a bit of faith in him that he can provide some size and grunt in a pack that has too often gets bullied. Skelton’s weight loss has attracted a fair bit of attention, dropping from 148kg to 135kg since moving from the Waratahs to Sarries. The Premiership-winning club’s ability to help him transform to a much more mobile – but still beastly – physique is deflating for Tahs and Wallabies fans, who struggled to wonder why Taqele Naiyaravoro wasn’t whipped into shape a lot sooner given his form as a lighter and fitter but still heavyweight winger. “Will is a different physical specimen. He’s in super-duper shape,” former Wallabies coach Bob Dwyer said recently. It’s a significant weight drop, but Skelton isn’t skeletal; at 203cm and with that rig, he’s still more than a handful, plus he likes getting his hands on the ball. He improved quickly for the Waratahs in their Super Rugby 2014 title-winning season and his Test performance against France that same year in Sydney was memorable in which he scored a try and gave a nice pass for an Israel Folau five-pointer. At full strength, Saracens usually start with England locks Maro Itoje and George Kruis, with Skelton coming off the bench. However, Skelton has often started when Itoje is preferred at No.6. 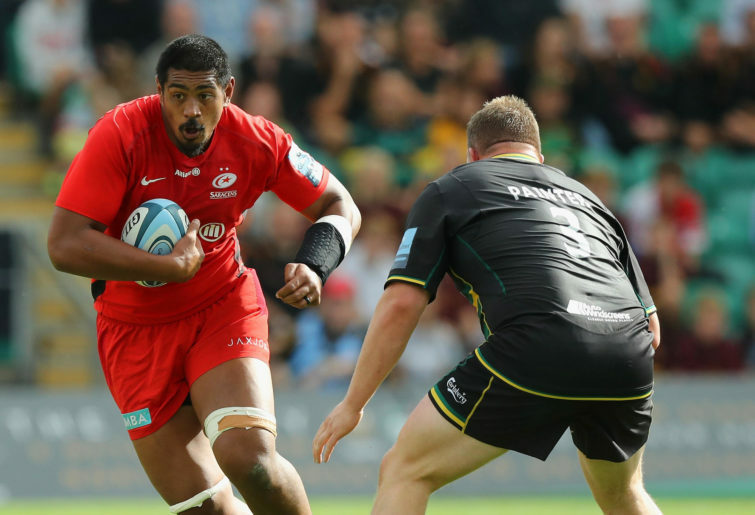 He’s also packed down with quality forwards such as Schalk Burger and the Vunipola brothers – Mako and Billy – over the last few years which would’ve been of great benefit to the 26-year-old Skelton. When the Waratahs recruited South African lock Le Roux Roets last month for this coming season, the way coach Daryl Gibson talked about him – not all of it but a solid part – sounded as if he could’ve been talking about Skelton. “We have been searching for a big, aggressive and physical player who can get us going forward and excels in the set piece,” Gibson said. Is it no coincidence that Roets signed a one-year contract? Are they hoping, or expecting, Skelton back at the Tahs? Bob Dwyer is right – we need someone like Skelton back to give the Wallabies a spark before the World Cup. Nic White is another mentioned given his form for Exeter in England. He would provide more of an attacking threat off the bench behind No.1 halfback Will Genia. Wallabies fans deflated with the way Cheika has led Australia’s international slide didn’t get a coaching change, or at least yet a coaching shuffle, but getting Skelton in for the World Cup might at least offer some optimism that a bit of size and muscle will make a difference.